Keeping your lube, oil, and filter up-to-date is the best way to keep your car driving smoothly. At ARVID’s TIRE & AUTOCARE, we offer comprehensive oil, lube and filter maintenance so you can rest assured knowing your vehicle is safe and up-to-date. 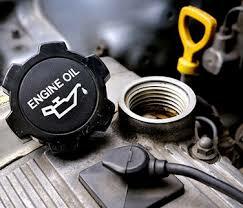 Regular oil changes prevent your car from overheating and causing serious damage to you and your vehicle. If you’ve noticed that your car has trouble starting or keeps stalling, or if you smell a musty odor in your car, it’s a sign that it’s time for an oil change. Your car needs many fluids besides oil to keep running efficiently. Coolant helps to prevent overheating while brake fluid ensures that your car can properly stop, so you can stay safe on the road. Lubricants are also applied to different parts of your vehicle as needed to keep your driving smooth. For all your lube, oil and filter needs, come to ARVID’s TIRE & AUTOCARE for fast and professional service.